Knopf Publishing Group, 9780307701633, 395pp. A literary event—the long-awaited novel, almost two decades in work, by the acclaimed author of The Tunnel (“The most beautiful, most complex, most disturbing novel to be published in my lifetime.”—Michael Silverblatt, Los Angeles Times; “An extraordinary achievement”—Michael Dirda, The Washington Post); Omensetter’s Luck (“The most important work of fiction by an American in this literary generation”—Richard Gilman, The New Republic); Willie Masters’ Lonesome Wife; and In the Heart of the Heart of the Country (“These stories scrape the nerve and pierce the heart. They also replenish the language.”—Eliot Fremont-Smith, The New York Times). 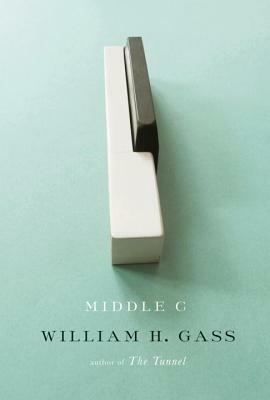 William Gass set out to write a novel that breaks traditional rules and denies itself easy solutions, cliff-edge suspense, and conventional surprises . . . Middle C is that book; a masterpiece by a beloved master. William H. Gass--essayist, novelist, literary critic--was born in Fargo, North Dakota. He is the author of six works of fiction and nine books of essays, including "Life Sentences, A Temple of Texts, and Tests of Time." Gass is a former professor of philosophy at Washington University. He lives with his wife, the architect Mary Gass, in St. Louis.